This year for the first time Midj will attend at ORGATEC: the only innovation and trend trade fair, it presents the whole world of work and presents creative solutions for the demands of the worlds of work of tomorrow under the motto "Rethinking work". From 23 to 27 October the world of architecture will totally focus on Cologne: ORGATEC opens its doors and becomes the global meeting point for architectures, planners and engineers as well as industry and trade experts. 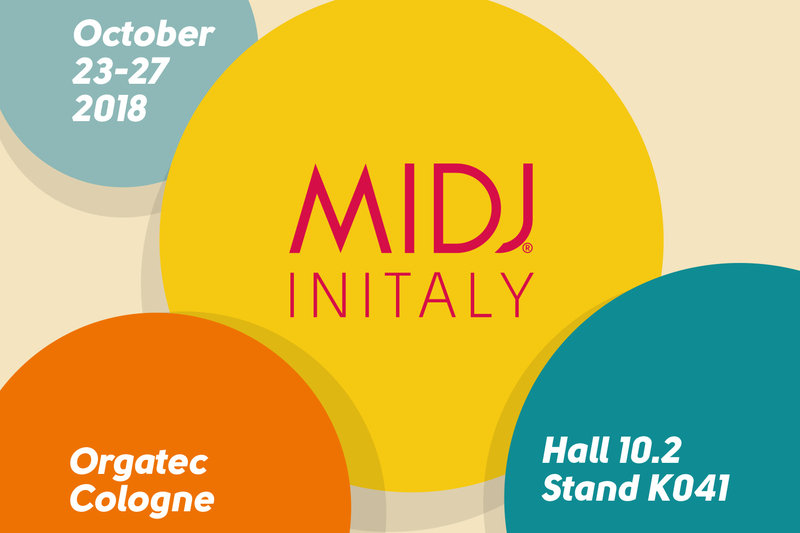 Don't miss the opportunity to learn more about the colors of Midj's world and experience the news that will be presented at ORGATEC. From Tuesday to Friday: 9:00 a.m. - 6:00 a.m.